Robin DiAngelo: White people are still raised to be racially illiterate. If we don't recognize the system, our inaction will uphold it. Robin DiAngelo White people are still raised to be racially illiterate. If we don't recognize the system, our inaction will uphold it. The question is not whether I have been shaped by and participate in the forces of racism, it's how I've been shaped by them. By Robin DiAngelo, Author, "White Fragility: Why It’s So Hard for White People to Talk About Racism"
Take the Jackie Robinson story. Robinson is celebrated as the first African-American to break the so-called color line and play in Major League Baseball. While Robinson was certainly an exceptional baseball player, framing the story this way depicts him as racially special. The subtext is that Robinson was the first black athlete strong enough to overcome the barriers preventing blacks from competing with whites; no black athletes before him were skilled enough to do so. While this tagline elevates Robinson as an individual, it implicitly positions African-Americans overall as inferior. It also falsely propagates the belief that racism in sports ended with Robinson, implying that current struggles against racism in sports are unnecessary. Narratives of racial exceptionality obscure the reality of ongoing institutional white control while reinforcing individualism and the illusion of meritocracy. Such narratives of racial exceptionality obscure the reality of ongoing institutional white control while reinforcing individualism and the illusion of meritocracy. Importantly, these narratives do whites a disservice by promoting racial illiteracy, leaving us with simplistic explanations for racial inequality. By not naming what those barriers were, who put them there, and how they were removed, we are also denied much needed anti-racist role models. In Robinson’s case, these role models are the white people who actually changed the rules and opened professional sports leagues to African-American players. Historical narratives of racial exceptionality also leave us unprepared to address current conditions. For example, they hide the role of race in the response to the opioid crisis versus the crack epidemic, the Parkland shooting versus the Black Lives Matter movement, gentrification versus Flint, Michigan, the Bundy Standoff versus Standing Rock. We are left without the analysis needed to engage with these deeply complex social dynamics. Imagine instead, if the story of Jackie Robinson went something like this: “Jackie Robinson was the first black man whites allowed to play major-league baseball.” This telling acknowledges the role of white control. It simply wasn’t up to Robinson. Had he walked onto the field before being granted permission by white owners and policy makers, the police would have removed him. Critically, the real Jackie Robinson story is a story of the relationship between blacks and whites in this country, between this individual black man and a white institution. Reframing race in the Jackie Robinson story reveals white structures of power and the strategies used by those who contested that power, strategies that we can build upon today as we work for racial justice. As a product of my culture, my racial illiteracy has rested on a simplistic definition of a racist: an individual who consciously does not like people based on race and is intentionally hurtful to them. Based on this definition, racists are purposely mean. It follows that nice people with good intentions who are friendly to people of a different race cannot be racist. Not only does this definition hide the structural nature of racism, it also enables self-delusion: If I am a nice person with good intentions I am free of all racial bias and cannot participate in racism. Within this limited paradigm, to simply suggest that as a white person, my race has meaning and grants unearned advantage, much less to suggest that I have absorbed racist messages which may cause me to behave in racist ways — consciously or not — will be deeply disconcerting. The mainstream definition of a racist set me up beautifully to not only deny any impact of racial socialization, but also to receive any suggestion of racially problematic behavior as a personal blow — a questioning of my very moral character. Of course I would take umbrage, feel hurt, attacked and misunderstood; this is what I term white fragility. Yet regardless of my intentions, these defensive reactions only protect the racist status quo. Those of us who profess to believe in racial equality have to challenge our understanding of racism in ways that don’t uphold it. We also need to build our skills and stamina for the racial discomfort engendered by a new paradigm. The mainstream definition of a racist set me up beautifully to not only deny any impact of racial socialization, but also to receive any suggestion of racially problematic behavior as a personal blow... this is what I term white fragility. While I was raised to see myself as somehow “innocent” of race, a lifetime of socialization as a white person does provide me insight into the ways my race shapes my frameworks, assumptions and responses, which in turn shape my identity, community and politics. I can speak as an “insider” to my socialization into whiteness: the messages of superiority I have received, patterns I have developed, advantages I enjoy and the personal and institutional challenges I face when seeking to counter racism. I am not, in fact, innocent of race. Further, people of color have been providing us with the feedback we need for centuries, but our biases have prevented us from granting legitimacy to their voices. Those same biases make us more receptive to the information when we hear it from other white people. This makes it all the more critical that white people use our positions to break with white solidarity and hold one another accountable. There are of course, inherent dilemmas when white people step up to address racism. Mainstream society has not prepared most of us to engage across race in an informed and thoughtful way. Given this, even those of us who have worked long and hard to develop racial literacy are all too often clumsy and hurtful. We tend to center ourselves instead of stepping back, listening more, and proceeding with humility. Still, we don’t gain literacy by studying alone, we gain fluency through practice. 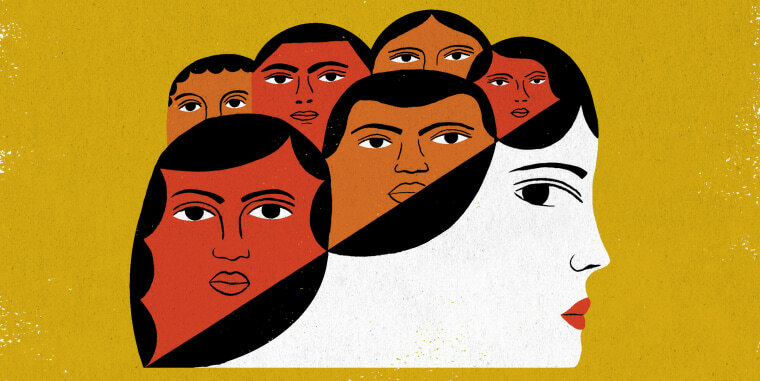 All of us have a part to play, but the ultimate responsibility for addressing racism lies with those who control the institutions — white people. Jackie Robinson could not have broken the color barrier on his own. If I don’t understand racism as a deeply embedded system that I have been shaped by and participate in, my inaction will uphold it. In other words, as long as whiteness remains unnamed it will continue to reproduce racial inequality. To de-center whiteness it must be centered differently — in ways that expose its strategies so that we can challenge them. Because the question of whether I have been shaped by and participate in the forces of racism is not a question of if, but of how. 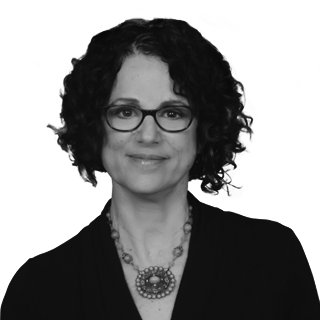 Robin DiAngelo is an academic, lecturer and author and has been a consultant and trainer on issues of racial and social justice for more than 20 years. She formerly served as a tenured professor of multicultural education at Westfield State University. She is the author of "White Fragility: Why It’s So Hard for White People to Talk About Racism."